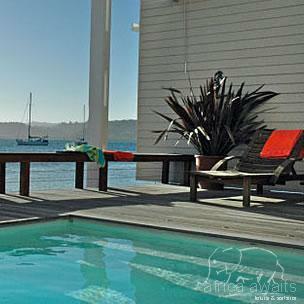 Hidden away in the Boatshed, on Thesen Islands, a mere couple of feet from the water's edge, you will discover The Lofts. These luxury Loft rooms offer the discerning guest a combination of luxurious living and breathtaking views over the scenic Knysna lagoon. Furnished with thoughtful touches guests enjoy an innovative ambience providing a unique experience. 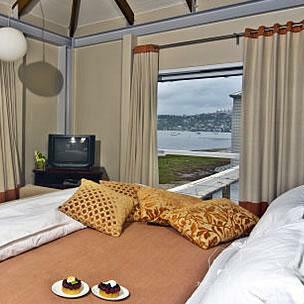 A heated swimming pool & martini bar lounge beauty spa and specialised shopping on the waters edge of the Knysna Lagoon. A beautiful true honest breakfast is presented at ilé de pain in relaxed sophisticated style. The accommodation consists of three lagoon luxury lofts and 9 standard luxury lofts, one self-catering apartment which all have the following: Beds, En-suite bathrooms, Crisp white cotten bed linen, Under-floor heating, fans and air conditioning, Satellite TV incl. sport and movie channels, Telephone, Hairdryers, Tea/coffee-making facilities, Luxury linen and bathroom amenities, Fully-stocked mini bars and personal digital safes Rooms are non-smoking but smoking allowed on decks. Internet connection in rooms. Le Spa Tranquille is unique due to its professional approach; the beautiful setting right on the edge of the Knysna Lagoon. Le Spa Spa Tranquille opened its doors on the 15th of December 2005. For Elza Buys this was a dream come true , offering the Garden Route a world class facility to both residents; tourists. With over 20 years experience in the beauty industry her secret to success in today's chaotic world, was mastering her intuition and understanding the intangible factors that give rise to results. The combination of the tranquility of Thesen Islands and our specialized treatments backed by our team of world class Beauty Therapists, will ensure that you feel completely relaxed. 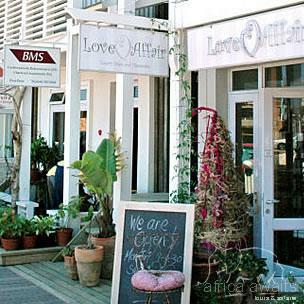 With your holiday, safari or business trip from in to The Lofts in The Garden Route.